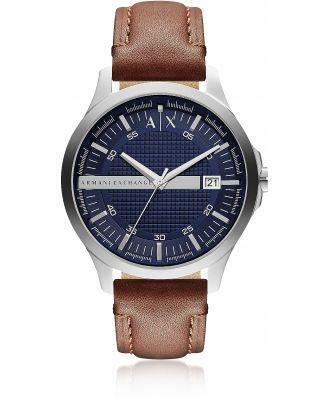 Hampton Brown Leather Men's Watch has a luxurious and sporty style for everyday refinement. 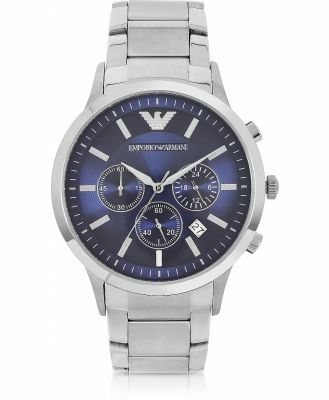 Featuring 46mm silver tone stainless steel round case, textured blue dial, stick indices, date window, seconds ring, quartz movement and leather band with buckle closure. Water resistant to 5 ATM. Signature box included.